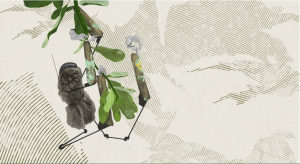 Machine Wilderness is bringing together experts from many different disciplines and backgrounds to explore emerging hybrid ecologies where nature, technology and art intertwine, on the 2nd of November at Artis Royal Zoo in Amsterdam. With keynote speakers, presentations, performances and live demos this symposium navigates through current and imminent machine wildernesses. The day includes introductions to the three hands-on workshops later this year. The emerging climate crisis and environmental damage show that our design processes underestimate the level of exposure of our landscapes to human activity. Our infrastructures, technologies and machines are not temporary visitors to our landscapes, they are permanent inhabitants. In this opening symposium we set out to map the hybrid relationships between our technologies and landscapes. We look forward to your participation. Introductions by artist Ivan Henriques, anthropologist Judith van der Elst and biologist Amber Griffiths to the hands-on workshops in Machine Wilderness later this year.